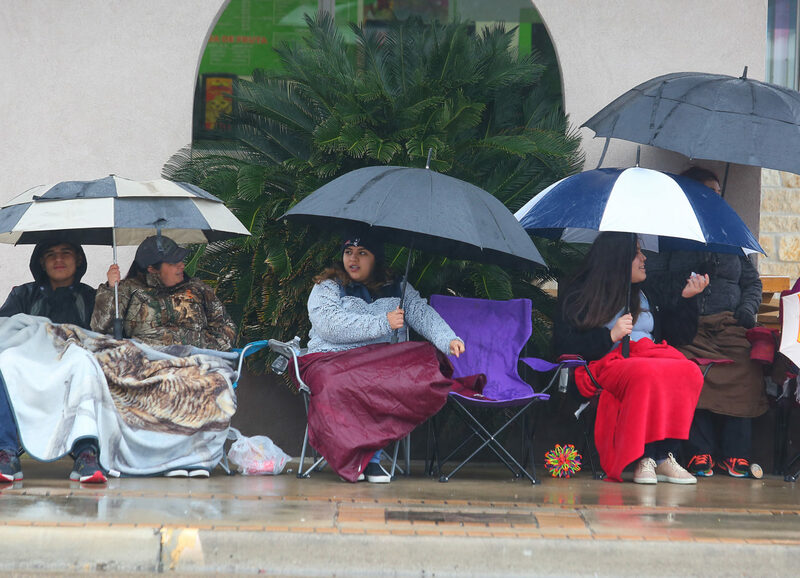 MISSION — A light rain and the chilly winter weather didn’t keep fans of the Texas Citrus Fiesta from attending the popular annual event Saturday. 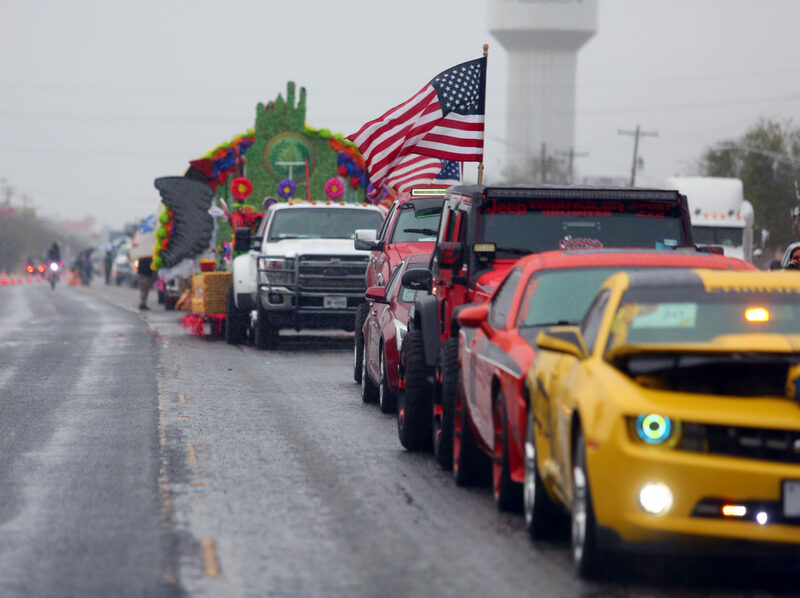 They gathered to honor the important part the citrus industry plays on the Rio Grande Valley’s booming economy. It’s estimated the citrus industry garners about $200 million annually in the Valley. Valley venders also stand to make a lot of money offering food, arts and craft and various trinkets at the fiesta. “Through the combination of the Rio Grande Valley’s moderate climate and fertile soil, our grapefruits and oranges produced here in Deep South Texas are sweeter and better tasting than anywhere else in the world,” said Bill Filut, president of the Texas Citrus Fiesta Board. 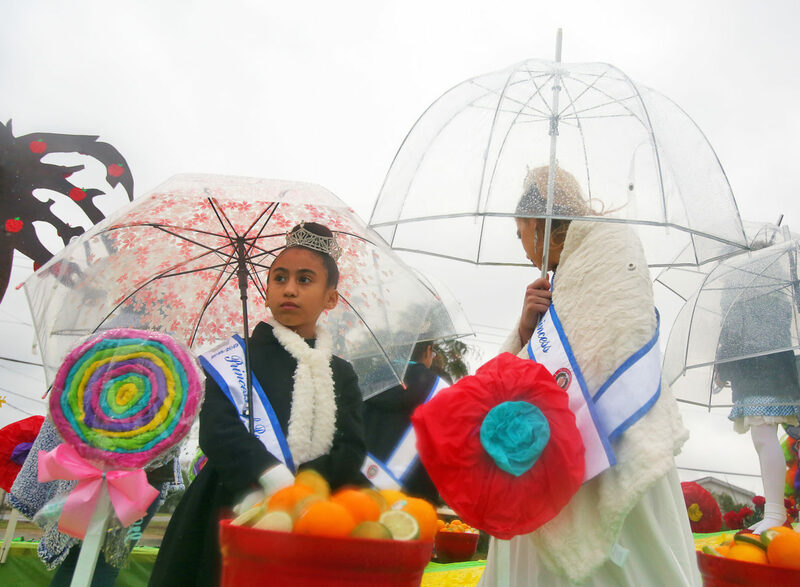 As every year, the fiesta will featured everything from folk art to royal pageantry. King Citrus and Queen Citrianna will reign over the event. Both were selected by committee on Thursday. 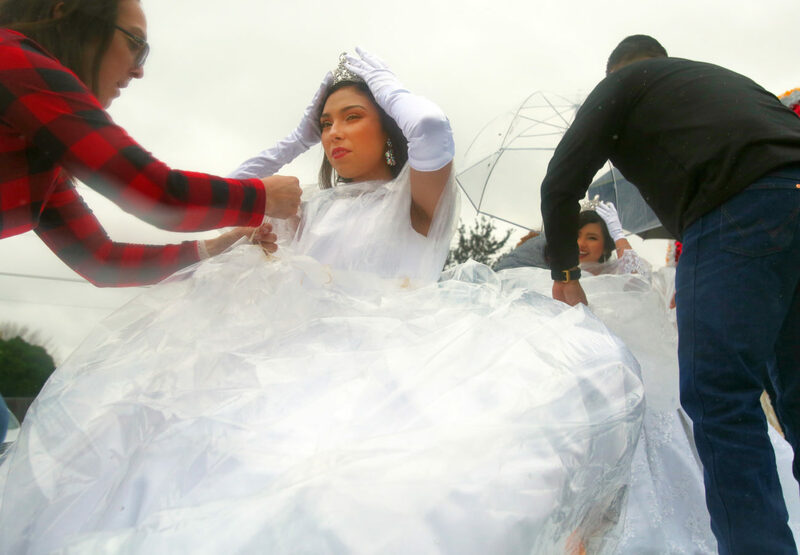 Jaedynn Alaniz claimed the title of Queen Citrianna and arrived at the parade staging area dressed in her royal gown and clutching an umbrella in her hands. 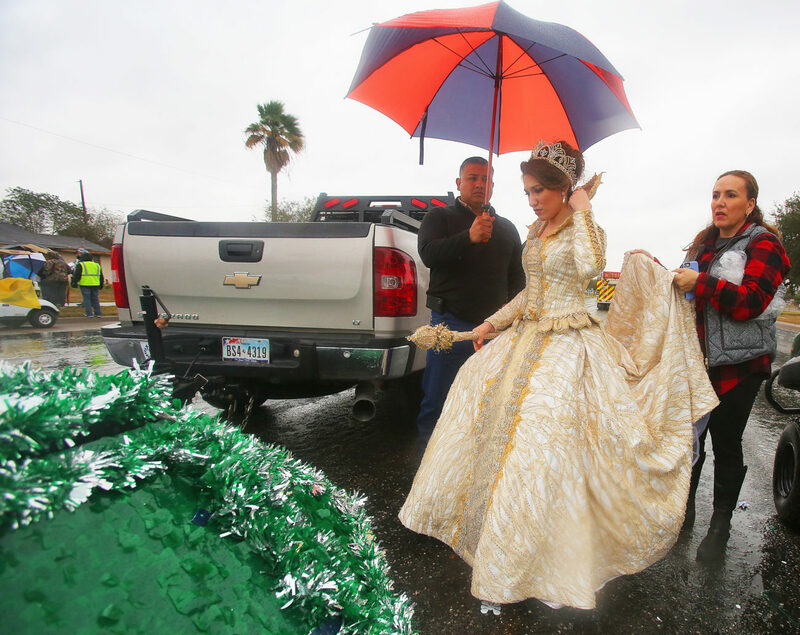 Despite the dreary weather, the 16-year-old Palmview High School student says she’s honored to be the part of the Citrus Fiesta royalty. Mission city workers have been planning the event for months. 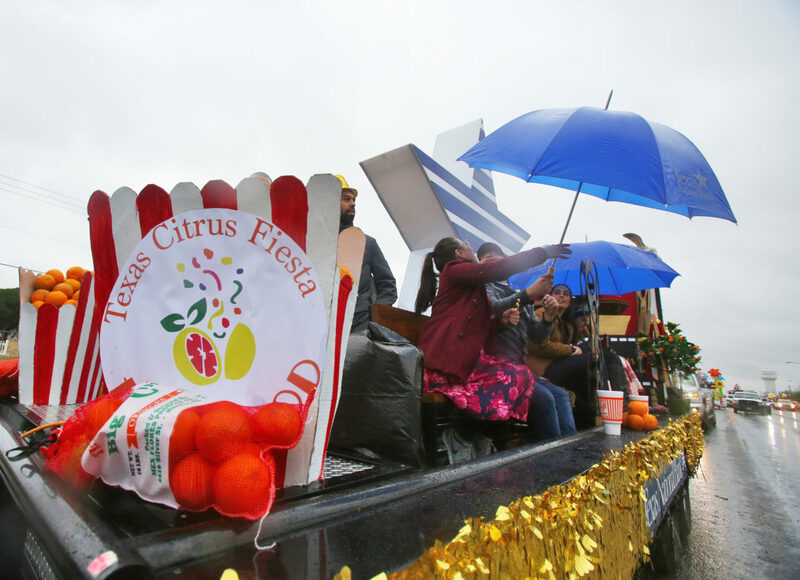 All floats are required to be decorated with Valley citrus, which is picked fresh the night before the parade. The result is the sweet aroma of oranges and grapefruit throughout the parade route. 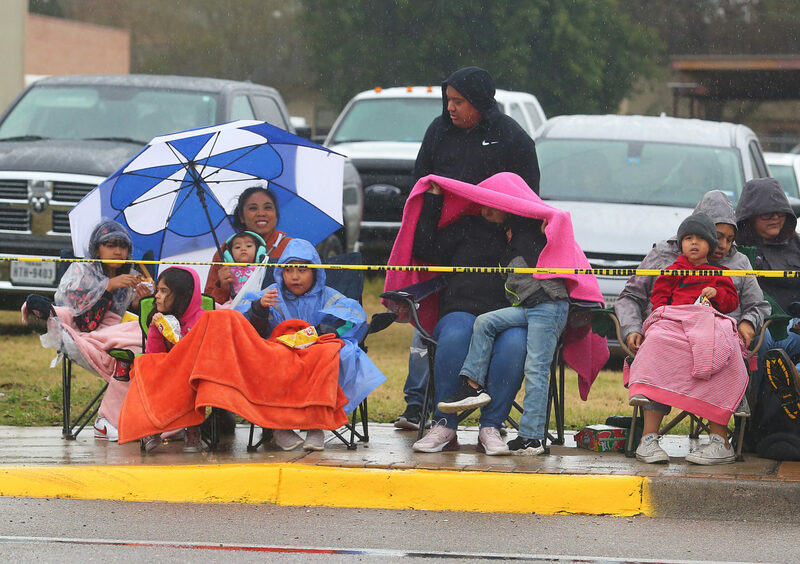 Spectators lined both sides of Conway Avenue wearing rain gear and holding umbrellas. 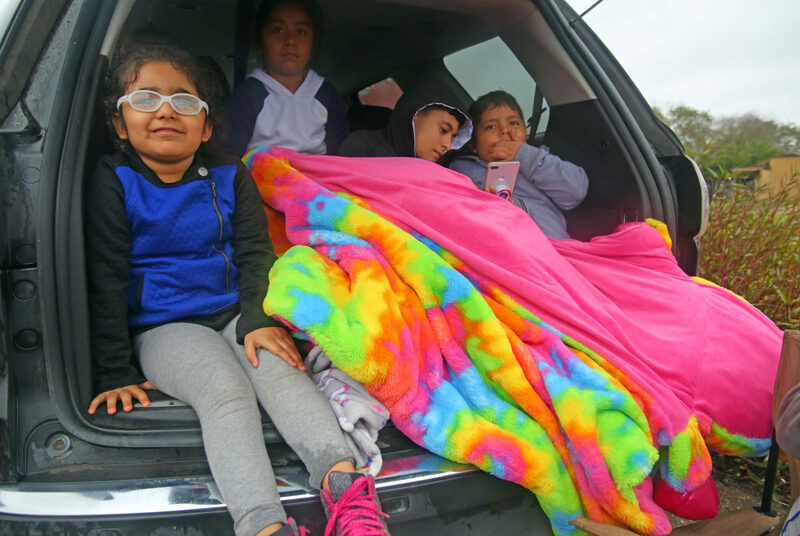 Many did their best to stay out of the drizzling rain under makeshift tents. Erica Saenz has attended every Texas Citrus Festival for the last 15 years. She fought off the cold wind this year with a heavy blanket and thick winter clothing. 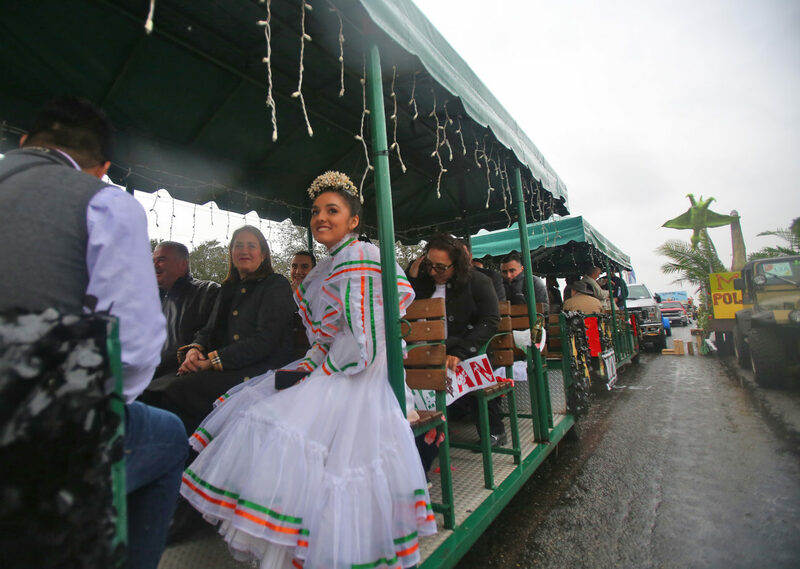 The Mission resident considers herself a “veteran” of Texas Citrus Parade watchers. Local business owner Ventura Hernandez says he attends the parade in order to support other local business. This year’s theme is Citrus Celebrates Hollywood Movies. As an example, Mission Parks and Recreation constructed a float based on the Disney film “The Lion King.” Overseeing the project was Mission Parks and Recreation Director Brad Bentsen, a second cousin of the late Sen. Lloyd Bentsen. He said a work crew of eight people have been constructing The Lion King float for a month. Simba, the title character of the movie watches over Mission Mayor Armando O’Caña and the Mission city council. “We used corn husks for Simba’s mane, and cauliflower for his feet,” Bentsen said. Bentsen says he has thirty years experience building floats for the Texas Citrus Fiesta. 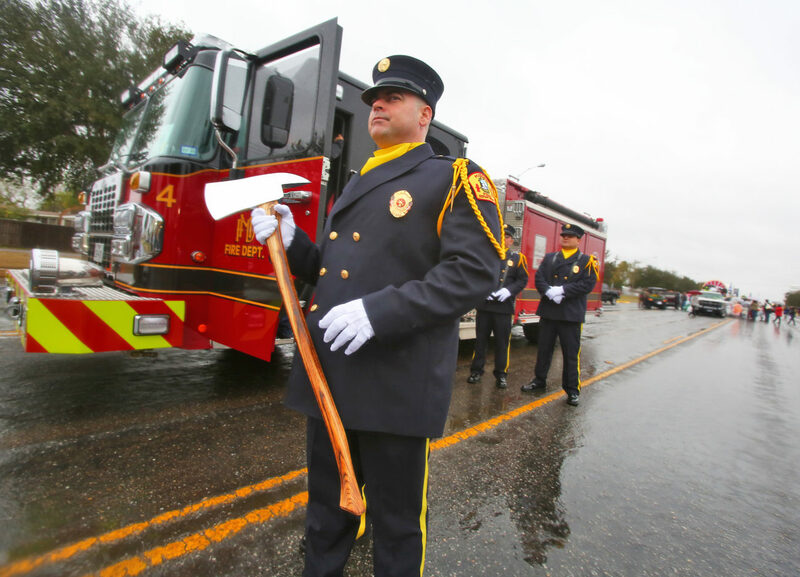 He says it began as a family tradition when he was young. From there, Bentsen built floats for the Mission Lions Club. He’s been in charge of building floats for the Mission Parks and Recreation Department for the last four years. He says it a labor of love. “I do enjoy doing it because I grew up in the agriculture industry and that’s what the Valley was built on, citrus, produce and vegetables.” Bentsen said. “But it does become nerve-wracking when you have to crunch everything in the last 24 hours. My nerve level is … well, let’s just say they call me Bradzilla,” Bentsen said with a hearty laugh.